I just love this image and had to use it. It has been way too long since I used it in an actual post. With appraisers across the country giving me calls stating things have really slowed down and asking what they can do to get more appraisal jobs, I decided to make a post sharing some recent ideas that seem to be working for me as well as other appraisers. This is not going to be super detailed, but if you search around online, you can learn all the steps you need to take to get more business using these techniques. I have also broken down most of the information inside of the Appraisers Club as well. A few things I have yet to mess around with but have heard of other appraisers having great success is as simple as getting your certified general license. Sure it will take a lot of work, but it will be well worth your time over the long run and should help to make you a better residential appraiser as well. I have taken a few classes online to head in that direction, but the last CG that I referred all my commercial work retired so I am looking for a couple new CGs to work with to get the experience. If any CG is interested in San Diego, just hit me up! I get a fair amount of commercial calls each month. I have been a licensed real estate broker for almost 8 years now, getting the license was as easy as studying and taking the test. I was also a license manufactured home broker as well, but will be looking to get my manufactured home sales license to promote manufactured homes as ADUs in San Diego County. I kinda got my license as a ‘Plan B’ if things got really screwed up in the appraisal industry. But I know many appraisers that also sell real estate and even more than get a commission for referring potential sellers. This could be very lucrative if you have a lot of estate work. I should have been working this angle for years and will be making referrals in the future. But the top techniques to make more money doing a job that you love is by doing more appraisal work. You can get more work a number of different ways. I love marketing, so I don’t mind doing most of it myself. But if you don’t have a clue where to start, you might be better off finding a company that will help you with your ‘local’ online presence. They will focus on things like Yelp, Google, Bing, Homeadvisor, Homesnap and most likely all the areas that your business can show up locally in your market. By having a good search engine presence you can easily get 10x’s more work annually than you would if you don’t show up online. If you aren’t getting any non-lender work right now, then the sky is the limit. If you focus on non-lender marketing and create good follow up systems to keep your clients, your business will continue to grow. I am currently working on an all new ‘Appraisers Club‘ that will be more of a step-by-step program to teach you how to properly market your appraisal business, increase your appraiser income and keep your clients. 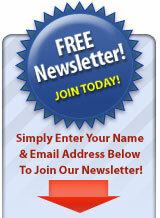 The fee to become a member will be slashed and appraiser website building services will be available if needed. I will also have my own personal VA available to people that would rather just pay him to get a step completed when needed. Look for the re-launch in January 2019! Thanks again to everyone that has been a long time reader and supporter of all my endeavors. 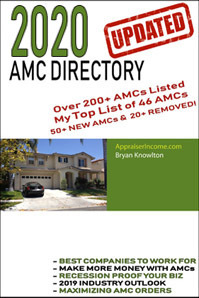 I will be updating the AMC Directory for 2019 as well as the Non-Lender Marketing Guide. I truly enjoy giving back to the community and will hopefully be posting a lot more articles in the near future to help you stay an appraiser during this slow period. I have seen my lender work drastically decrease over the past 6 months and I can only imagine that work will continue to dry up as interest rates rise and home sales slow. 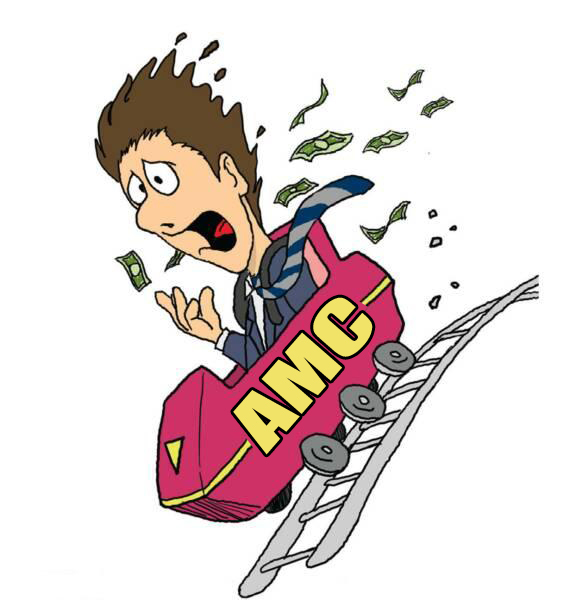 It is again a great time to focus on that non-lender work, build up that client base and not worry about where you orders will be coming from for the next 8 years. This entry was posted on Wednesday, October 10th, 2018 at 3:19 pm and is filed under Appraiser Marketing. You can follow any responses to this entry through the RSS 2.0 feed. Both comments and pings are currently closed. You are here : Home » 2018 » 10 » 10 » Appraiser Income ?? ?